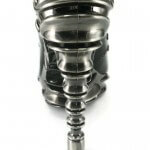 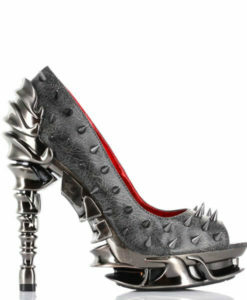 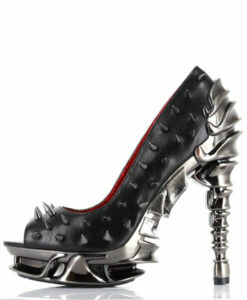 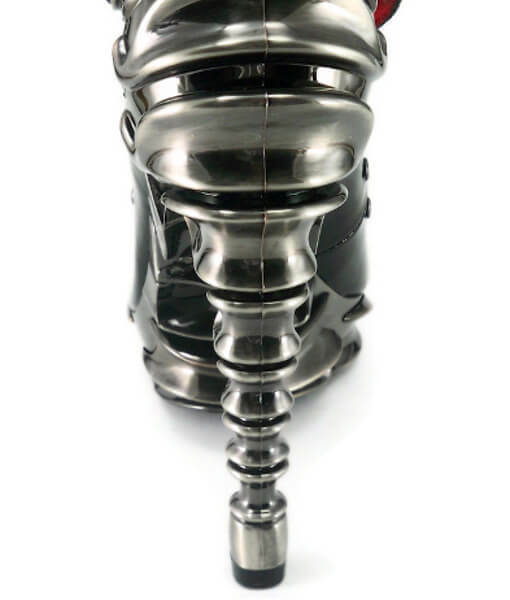 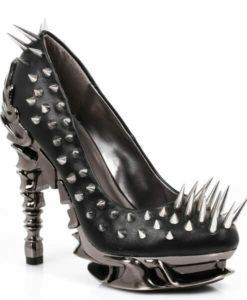 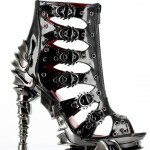 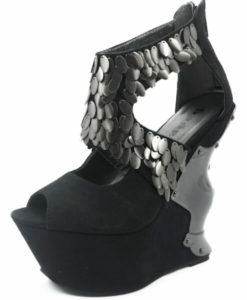 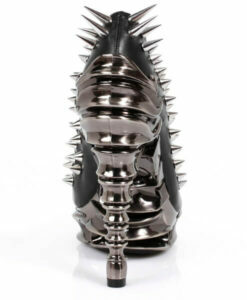 Chrome plated multi-piece spinal heel and platform. 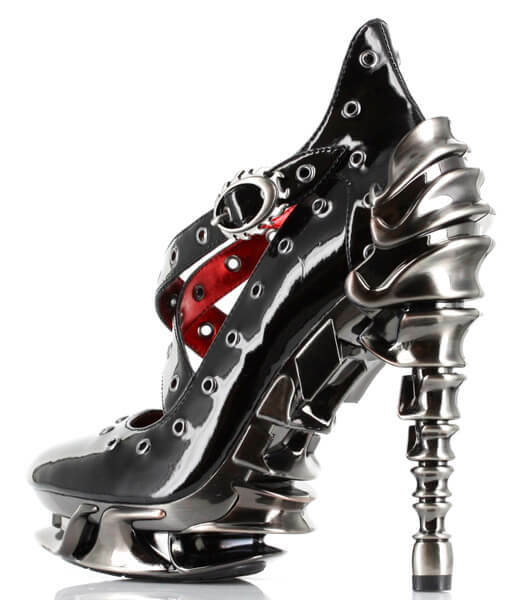 ABS molded 3 piece bone heel heated in 2 layers of chrome plating. 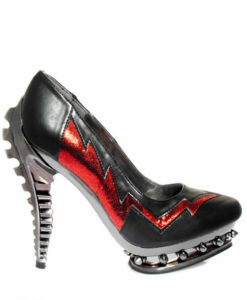 Stretchable front x-strap w/ elastic fastened by adjustable flame buckles. 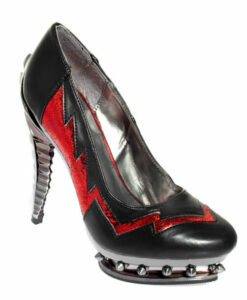 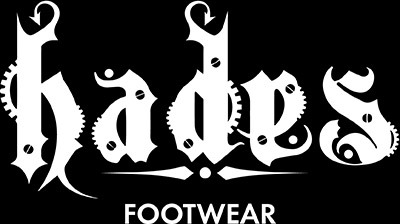 Multiple eyelets w/ extended back support. 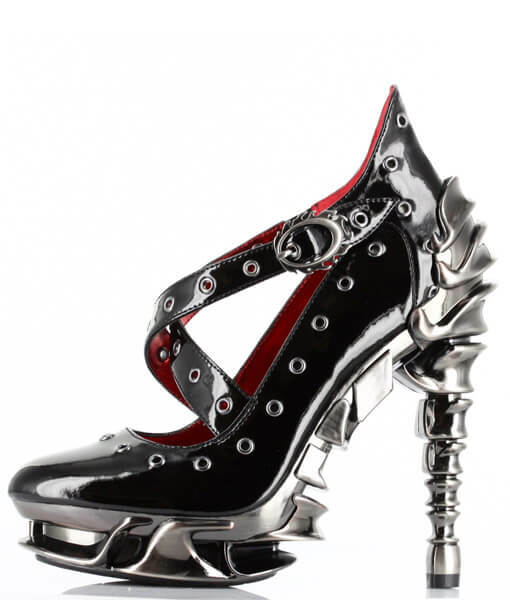 5″ Heel.